It is not every day that a new museum opens in the Chicago area. The latest is both dazzling and unusual. The Halim Time and Glass Museum pairs the twin passions of one family’s collection: a love of 19th century stained glass, and the history of clocks. Chicago Tonight found a window of time to visit during the museum’s opening week. Jay Shefsky: Galleries filled with inspirational artwork formed in glass, rooms packed with rare timepieces. In Evanston, a single family has opened a museum with a dual focus: time and glass. At the center of it all is a businessman who’s become a curator of great curiosity. Cameel Halim, Halim Time and Glass Museum founder: I am in the business of restoring old architecture building[s], important building, and glass was sometimes part of it in homes. I was always interested in stained glass, and I think what maybe 30 years ago we bought a house built by George Maher, and it has all stained glass windows, magnificent windows, and this was when you really get interested in stained glass. 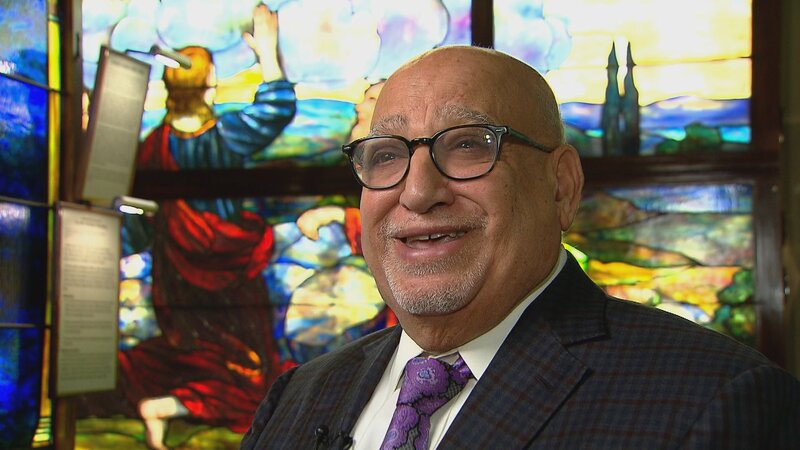 Shefsky: He saved stained glass salvaged from demolished churches and libraries. And he also saved clocks: American clocks and clocks from England, where one famous clock maker is buried at Westminster Abbey, and clocks from France, including a clock reportedly owned by Marie Antoinette. There’s a room filled with opulent Asian clocks that are marvels of mechanics. And there is a bounty of unusual clocks, clocks with bizarre mechanisms, and clocks with archaic ways of telling time. And of course clocks that were depended upon throughout the history of transportation – from sailing ships to railroad cars. Halim: The history of the development of clocks is just so rich, and our museum we document this from the beginning to the end. The clock collection is worldwide. We bought clocks from all over the world: Hong Kong, London, Paris, Vienna, United States, and when you start collecting and you become serious collectors, everybody knows you. So auction houses they send us stuff, we always have an option on the first good thing comes. Shefsky: Though he made his money in real estate, Cameel Halim emigrated from Egypt to work as a structural engineer in Northbrook. Halim: I came here in 1968 had $1,500 in my pocket so it was a … I had a very beautiful career here and America was really great for us. Shefsky: He credits his wife and daughters for helping to make his dream museum come true. And now he has a striking new building to showcase the family’s twin collections. Halim: It took us 11 years to put that museum together from day one till now. Shefsky: “That museum” holds more than 1,000 timepieces, each one carefully restored. There is a room of rare works from Tiffany and Company, including paintings by Louis Comfort Tiffany that echo the floral designs of his lamps and other glass works. There is a Frank Lloyd Wright window, a glass panel designed by Louis Sullivan, and an abundance of restored artworks by long forgotten masters of stained glass. Some invite touch, giving visitors a tactile sense of the many methods artists used to create their effects. The new museum also has a banquet hall and a rooftop garden. A fourth-floor gallery will soon house more of the Halim family’s growing collection. Halim: When you collect anything you buy something and then you learn, you study, you read, and then you become more interested in the subject, and then you go buy another one. You have to build your knowledge to collect. You can’t collect if you don’t know anything; you have to understand what you’re collecting. Oct. 12: With the national spotlight on issues surrounding women’s health, a newly opened exhibit explores how a woman’s body is connected with health and wellness. Sept. 28: A who’s who of great artists and writers of the 20th century was influenced by one who died in semi-obscurity nearly 200 years ago. Sept. 20: His artwork is in the collections of George Lucas, Jay-Z and Mayor Rahm Emanuel. We get a preview of the show “Hebru Brantley: Forced Field” at the Elmhurst Art Museum.